Senator Rand Paul secured a vote to proceed to S.J. Res. 65, his resolution of disapproval to block the sale of offensive weapons and support to Bahrain, a member of the Saudi-led coalition waging a devastating war in Yemen that has killed thousands of innocent civilians and left millions of Yemenis on the edge of famine. 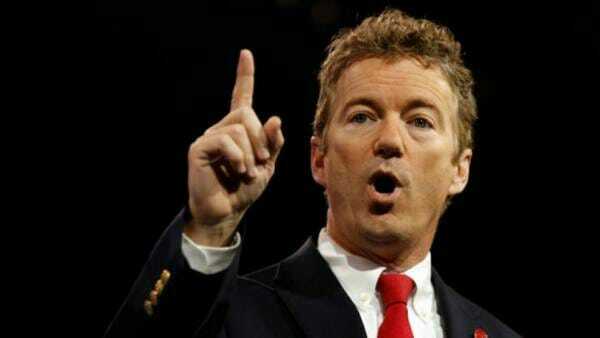 According to a press release from Senator Paul’s office, Senate is expected to vote early Thursday afternoon. The Gateway Pundit has obtained a copy of the “Dear Colleague” letter than Senator Paul sent out on Wednesday, urging other senators to join the effort. Tomorrow the Senate will vote to proceed to S.J. Res. 65, a resolution of disapproval that would block the sale of offensive weapons to Bahrain, a member of the Saudi-led coalition that has devastated Yemen. This vote is about more than weapons; this is a vote against the war in Yemen. This vote will send a message to the Saudi coalition that the Senate will not support further destruction in Yemen, and that further arms sales to participants in the Saudi coalition will be restricted until the war in Yemen is ended. Bahrain itself has been an ally of the United States in the past, and this would not be an open-ended ban on arms sales to Bahrain. Rather, this is a one-time action limited to Bahrain’s proposed purchase of rockets. Blocking this sale is a small step that could nonetheless serve as the beginning of the end for the war in Yemen. Last week, the United States military ceased operations to refuel Saudi combat aircraft engaged in the war in Yemen. This is a positive first step in our disengagement from the conflict. However, according to Secretary of Defense Mattis, the United States was only providing this kind of support for twenty percent of their aircraft. Additionally, the Saudi Press Agency reported that the Saudi government itself requested an end to this support because they had developed their own capability and no longer needed American support. This means that our effort to withhold refueling support will not apply sufficient pressure to change the conduct of the war in Yemen. We must take additional actions, and this resolution is an important first step. The world has accepted the inescapable conclusion that the war in Yemen must end. Tomorrow, the Senate can take an important step toward that end, and I hope that you will join me in voting in favor of S.J. Res. 65. Senator Paul has led multiple bipartisan efforts to stand against U.S. involvement in the war in Yemen by blocking arms sales to Saudi Arabia. Per the Arms Export Control Act of 1976, a senator can force a vote on an arms sale. The post TGP Exclusive: Senator Rand Paul to Force Vote Against the War in Yemen appeared first on The Gateway Pundit.